I have an Amazon Alexa and have a Nexia bridge which manages devices throughout my home. I have the two connected via the Nexia skill in the Alexa app. I can do things like "Alexa, turn the downstairs thermostat up 2 degrees" and it works as expected. However, I have automation skills in my Nexia account that I can't figure out how to activate. 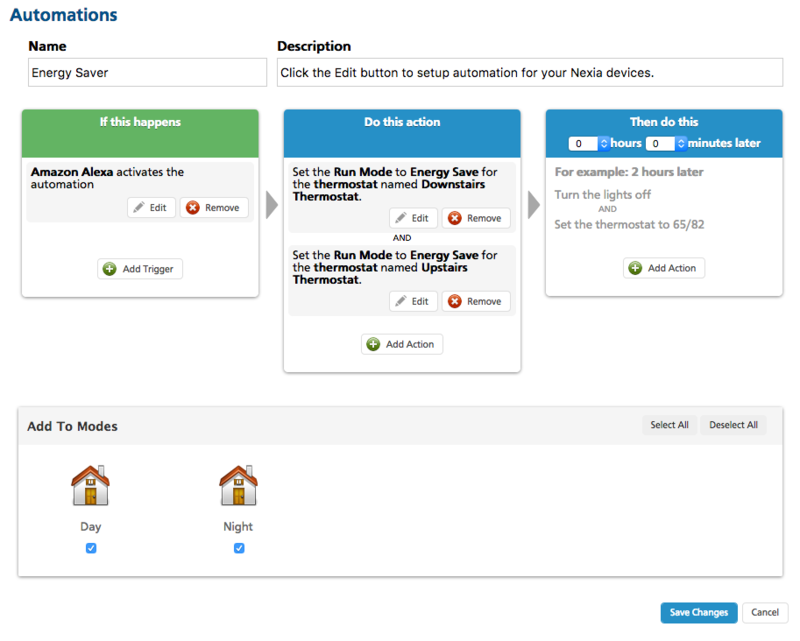 My automation I want to run is called "Energy Saver" and it should set both thermostats to Energy Save mode when activated. I can't seem to figure out which command to tell Alexa that will translate to Nexia running the expected automation.